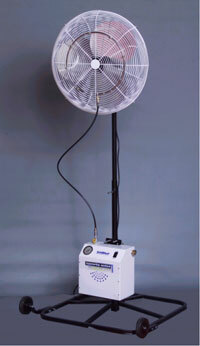 Source: Heinrich and Company, Inc.
2-speed pull chain, totally enclosed, and thermally protected motor. Sturdy base – 32" by 32"
Heinrich and Company, Inc., P.O. Box 157, Morrow, OH 45152. Tel: 513-899-2221; Fax: 513-899-1901.